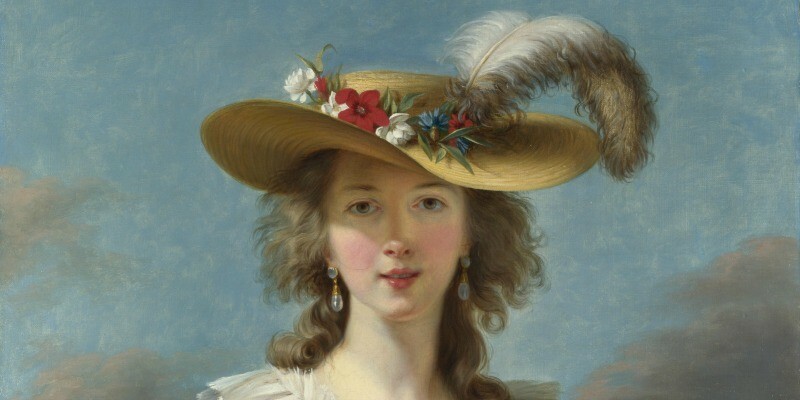 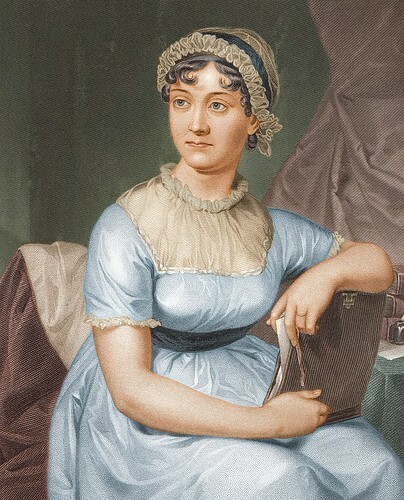 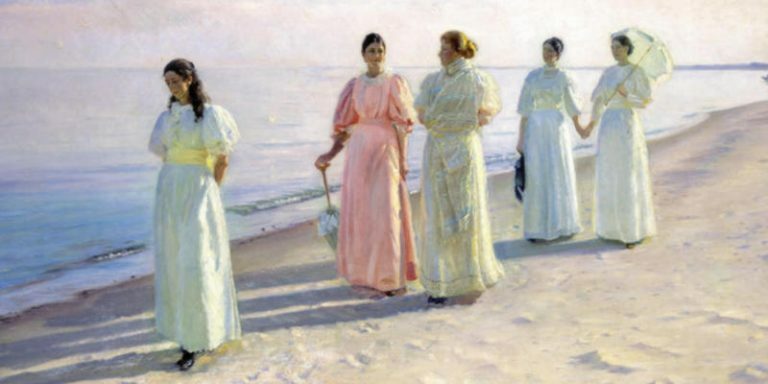 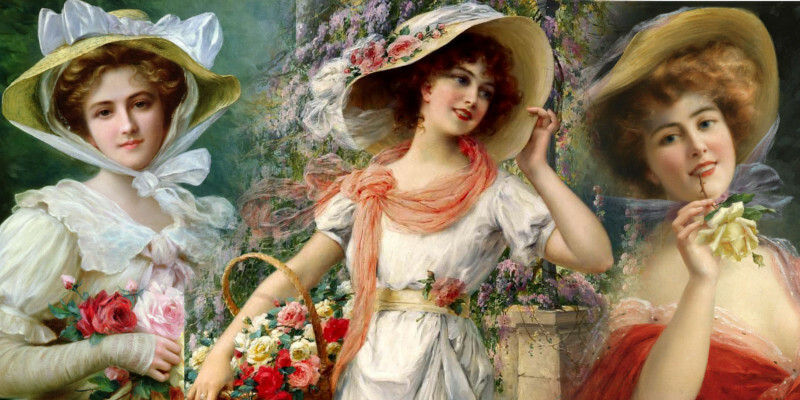 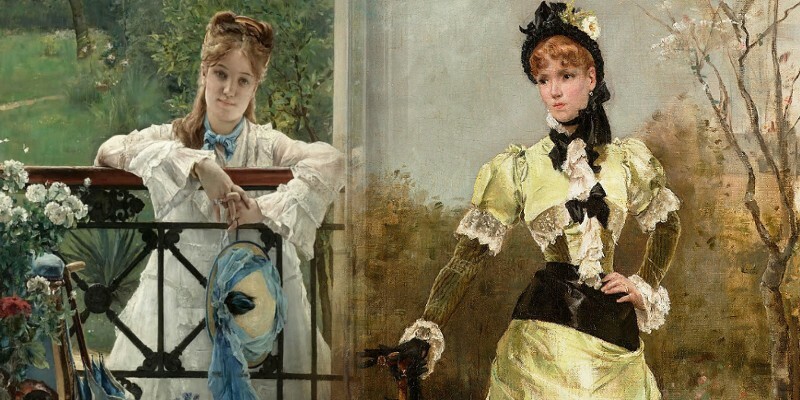 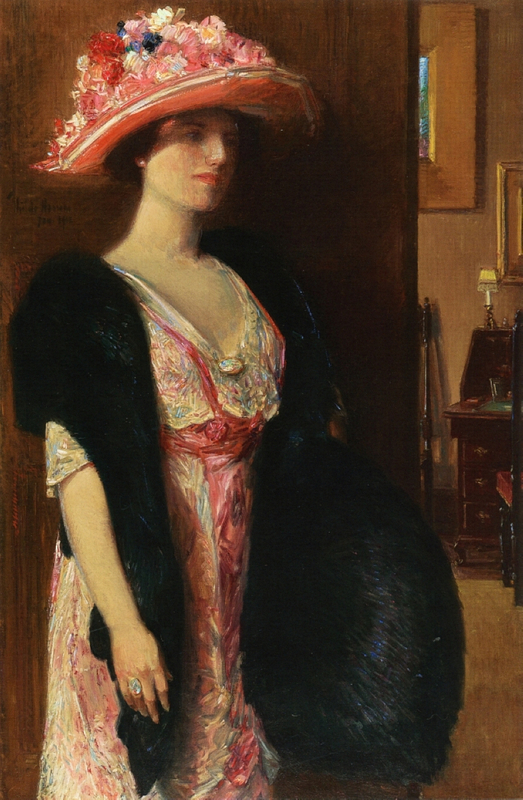 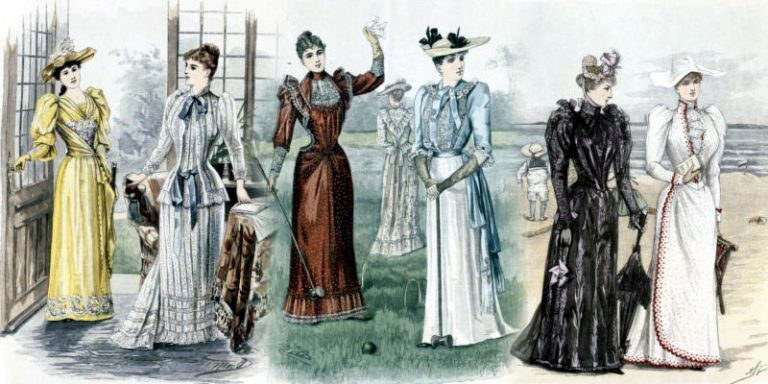 Click here to scroll directly to the gallery of Victorian and Edwardian ladies, or continue to read the artist summary below. 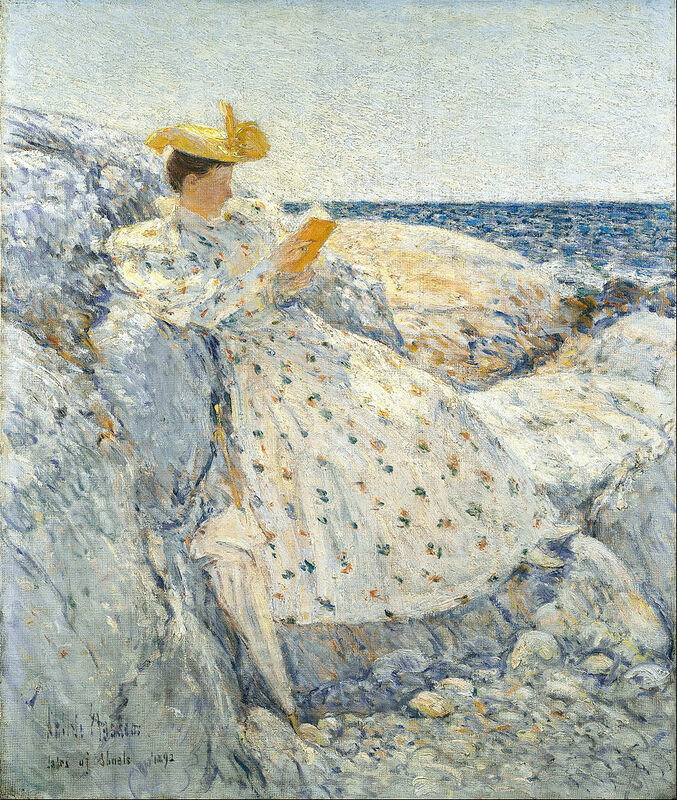 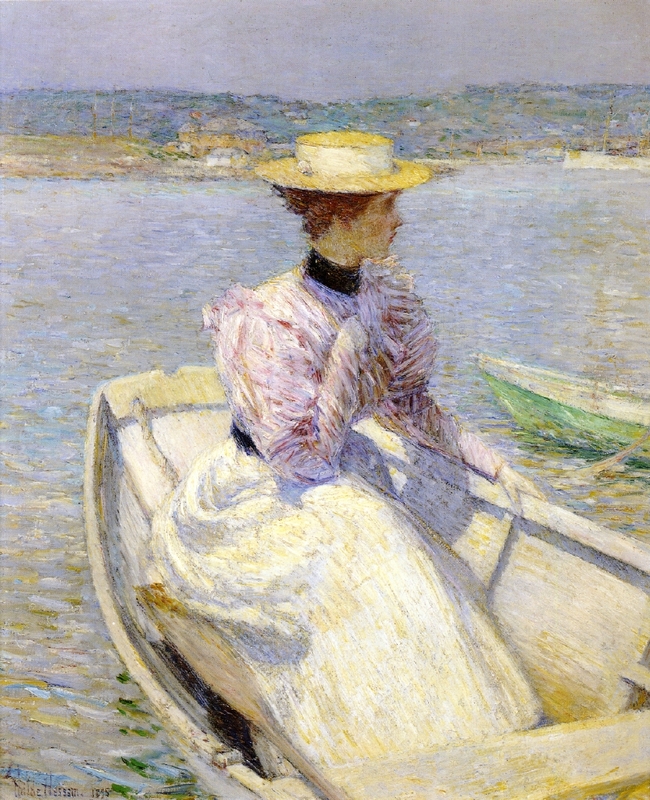 One of the greatest American Impressionist painters, Frederick Childe Hassam produced over 3000 works in oil, watercolor, etchings, and lithographs. 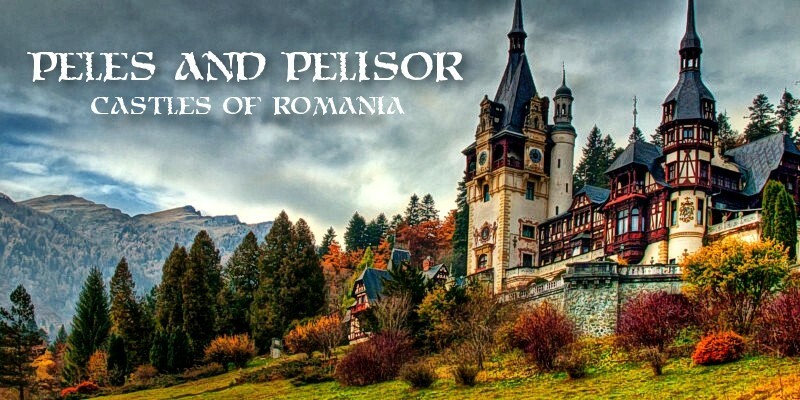 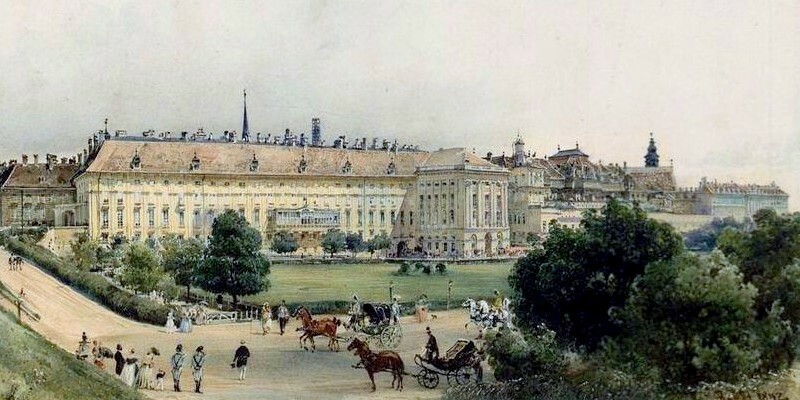 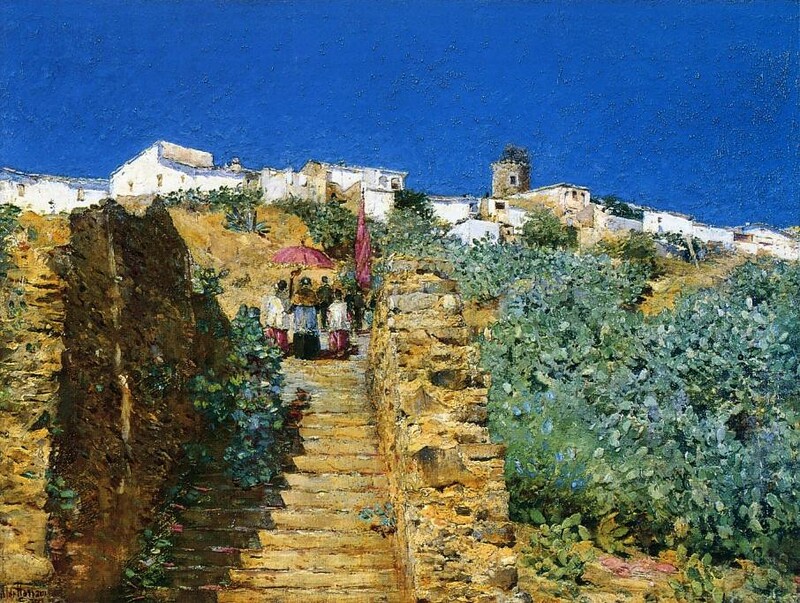 Pronounced “child HASS’m”, he demonstrated a talent for drawing and watercolor while at primary school. 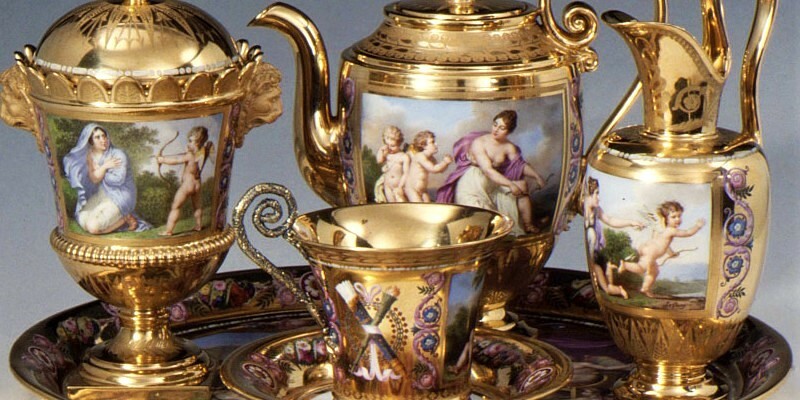 At 17, he turned down an offer from his uncle to pay for a Harvard education in favor of working as a wood engraver. 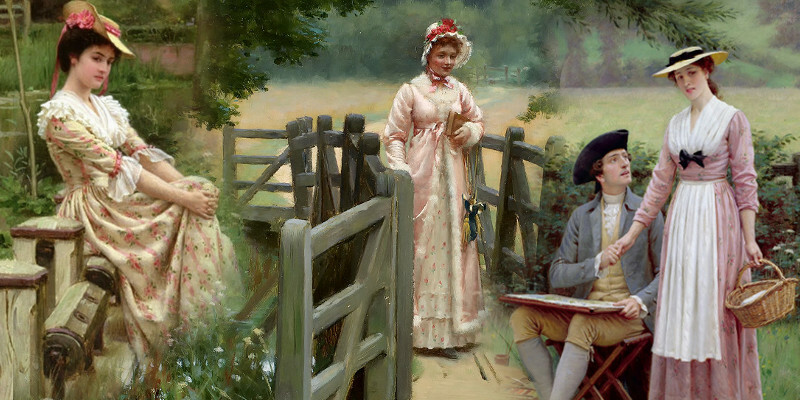 Proving to be a proficient draftsman, he produced engravings for letterheads and newspapers before becoming a freelance illustrator with his own studio. 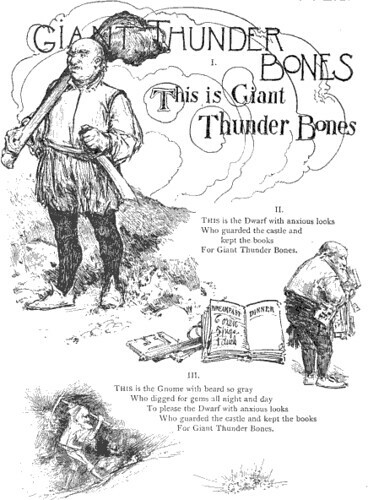 Specializing in illustrations for children’s stories in magazines such as Harper’s Weekly and Scribner’s Monthly, he held his first solo exhibition in Boston in 1883. 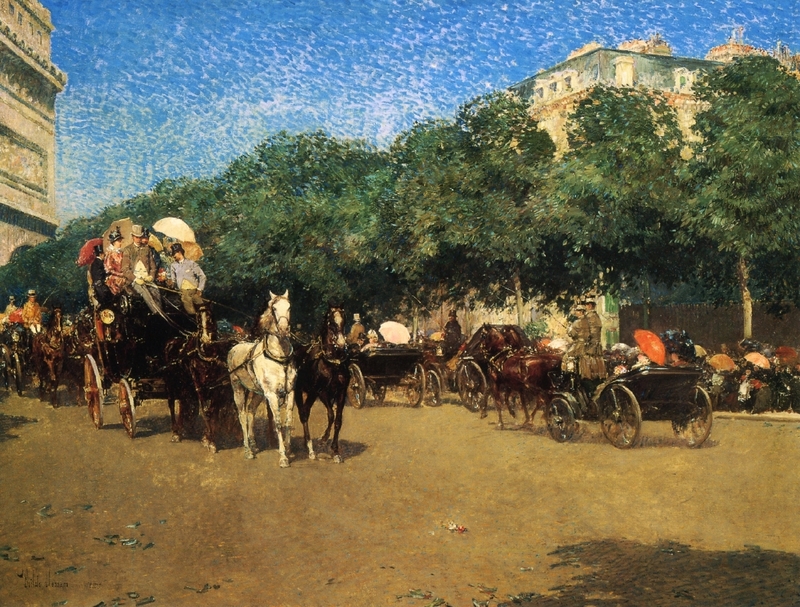 Advised by a friend at the Boston Art Club, he took a two-month “study trip” to Europe in the summer of 1883. 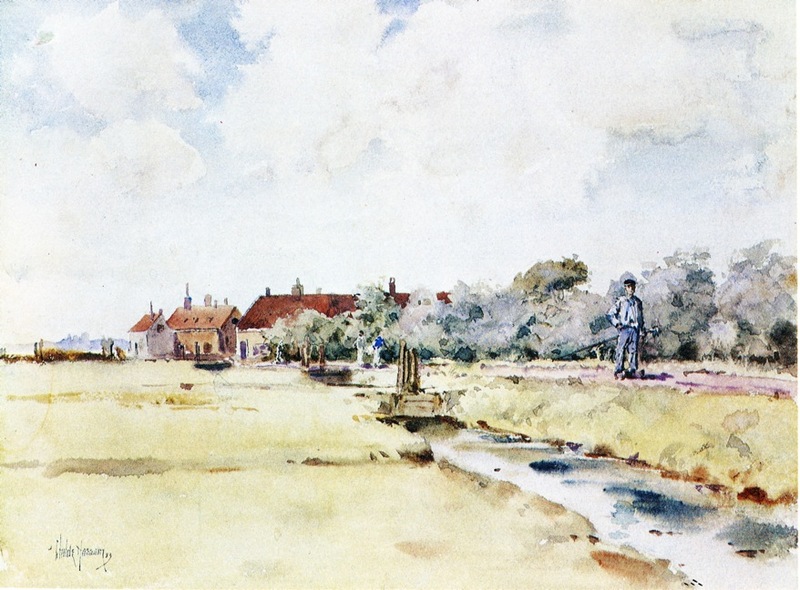 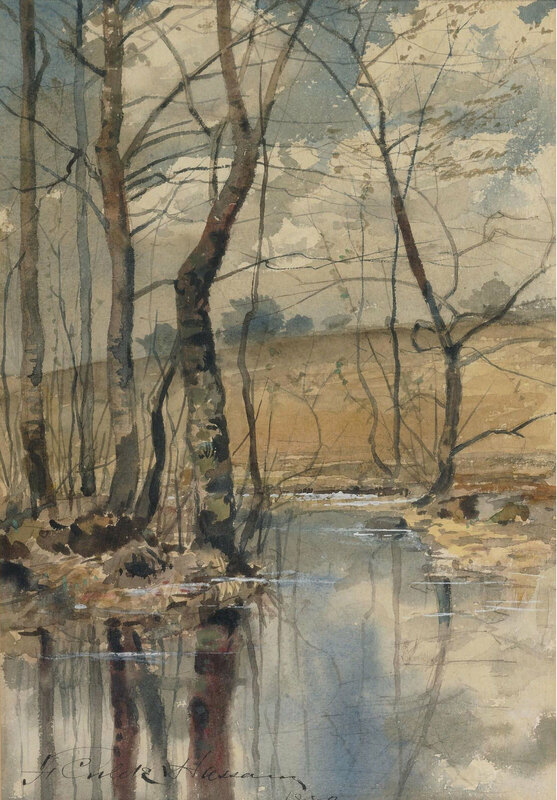 Forming the basis of his next exhibition in 1884 were 67 watercolors from his trip to Europe. 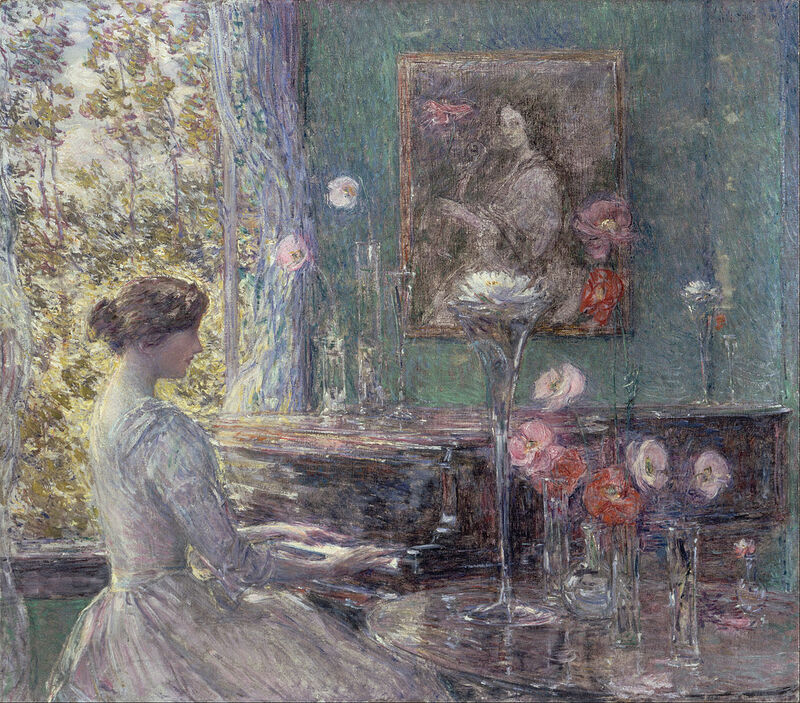 Influenced by the Barbizon school—an art movement for Realism in the context of the Romantic Movement—Hassam focused on the use of atmosphere and light in his landscapes. 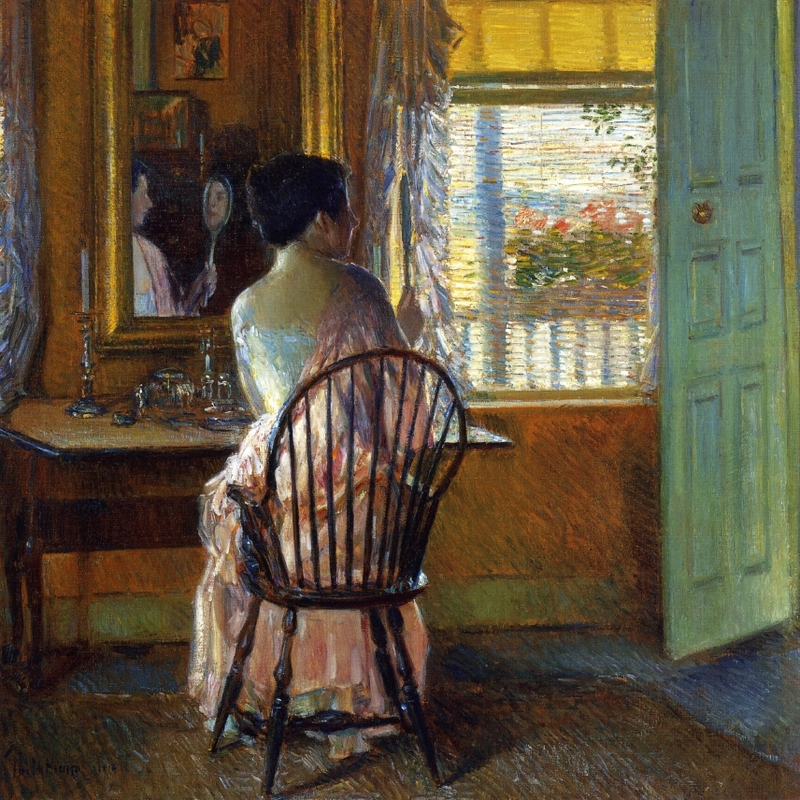 Look around you and paint what you see … render the intense life which surrounds you. 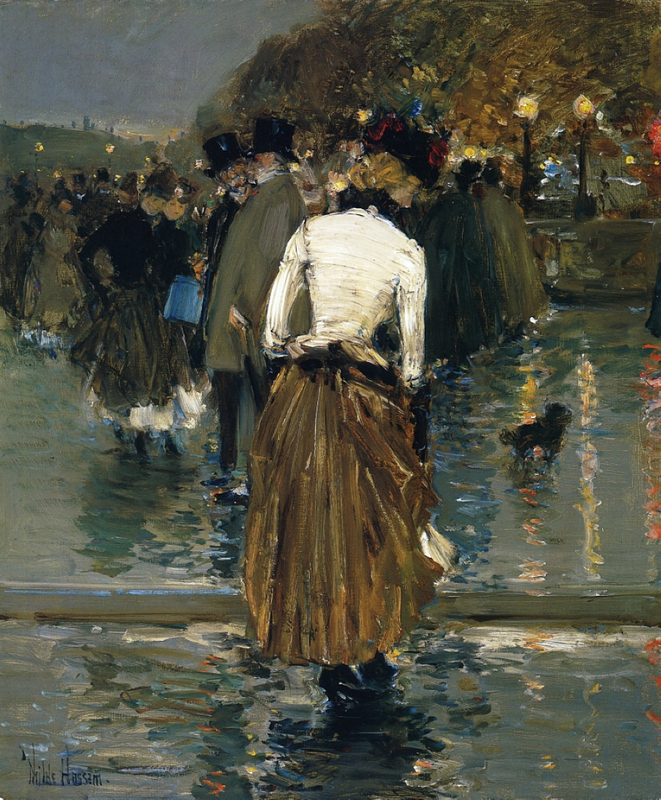 Taking to heart the words of a noted Boston critic “very pleasant, but not art”, in 1886 Hassam returned to Europe with his wife, settling in a studio in Paris at the center of the art community. 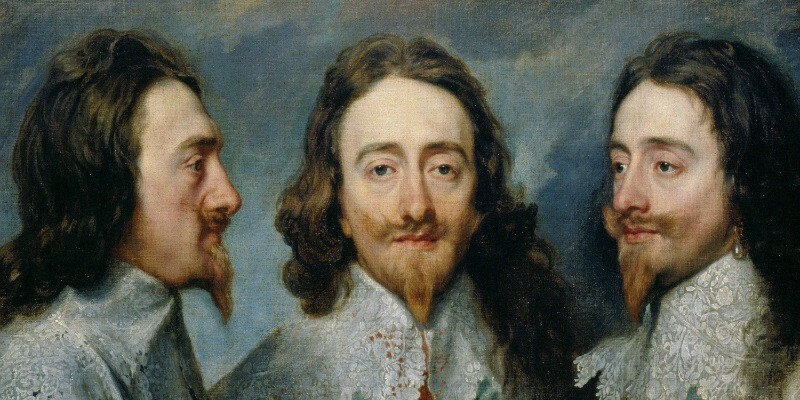 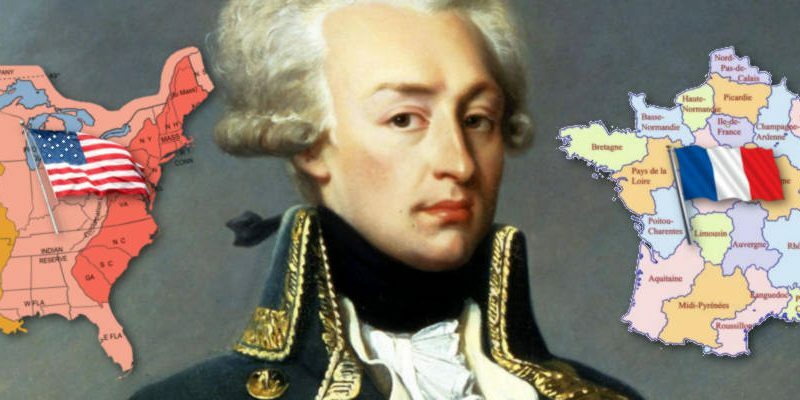 the Julian academy is the personification of routine … crushing all originality out of growing men. 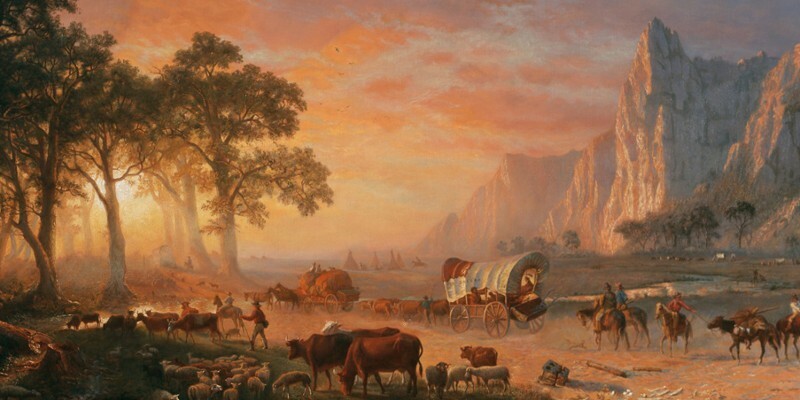 It tends to put them in a rut and it keeps them in it. 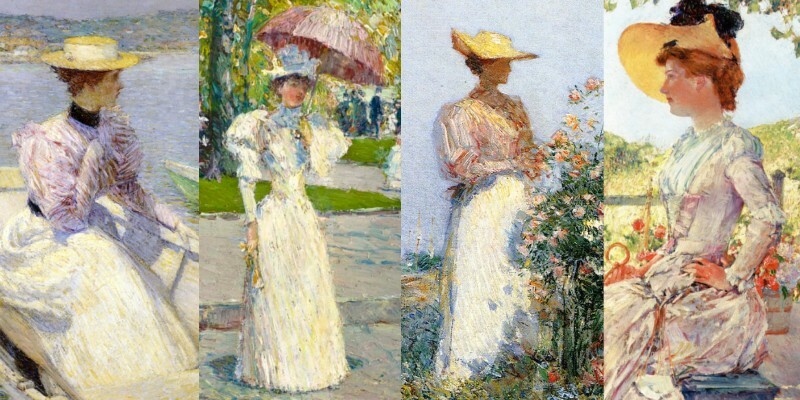 Using an innovative change of palette, Hassam painted two versions of Grand Prix Day in 1887. 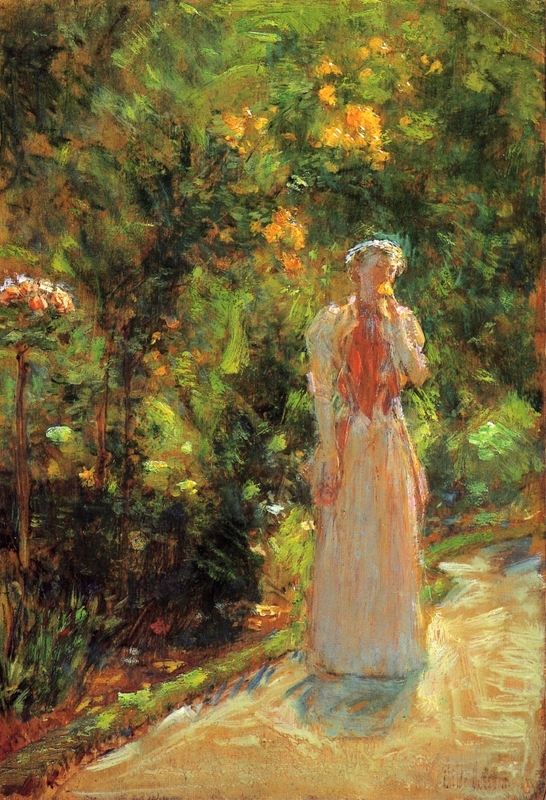 Inspired by the work of French Impressionists, he painted softer, more diffuse colors, full of light, with free brush strokes. 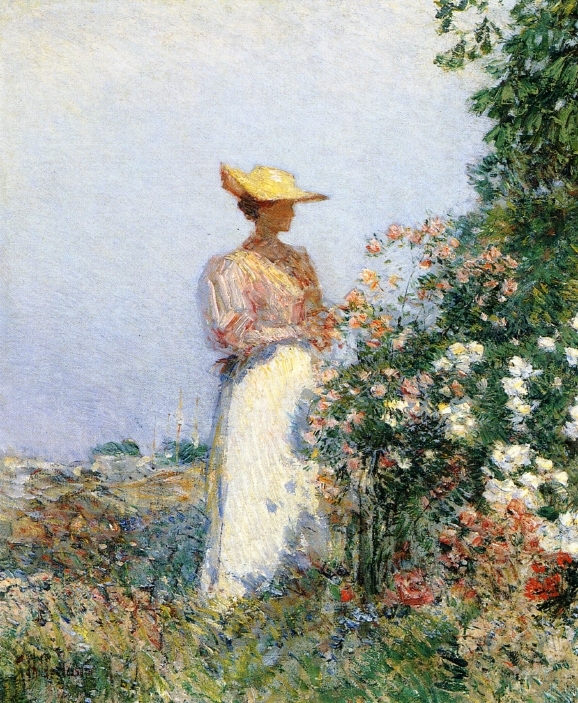 It is refreshing to note that Mr. Hassam, in the midst of so many good, bad, and indifferent art currents, seems to be paddling his own canoe with a good deal of independence and method. 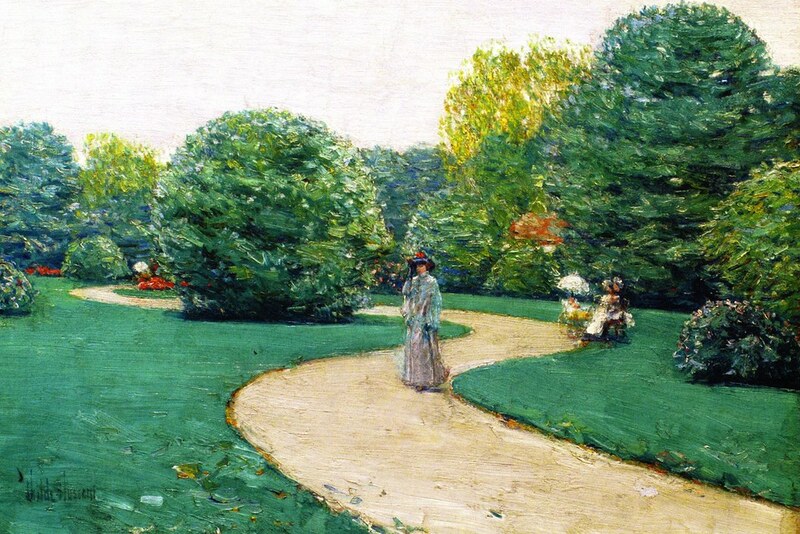 When his Boston pictures of three years ago…are compared with the more recent work…it may be seen how he has progressed. 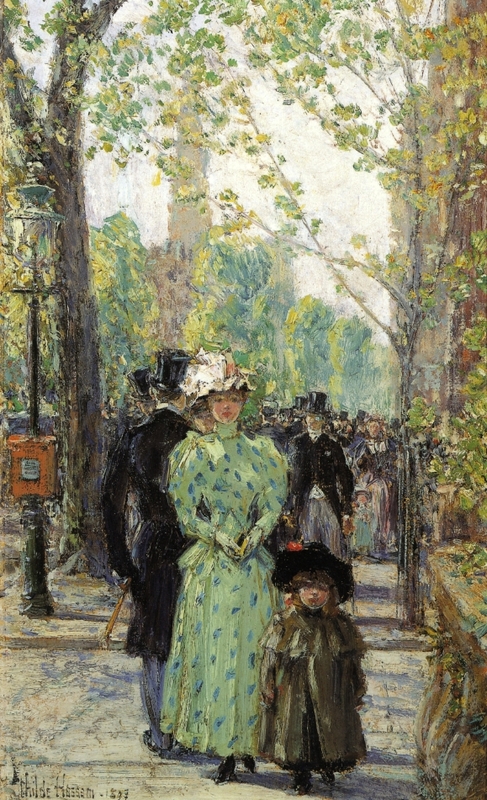 Exhibiting four paintings at the Exposition Universelle of 1889 in Paris, he won a bronze medal, then moved back to the States to take up residence on New York’s Fifth Avenue, painting the genteel neighborhoods within walking distance of his apartment. 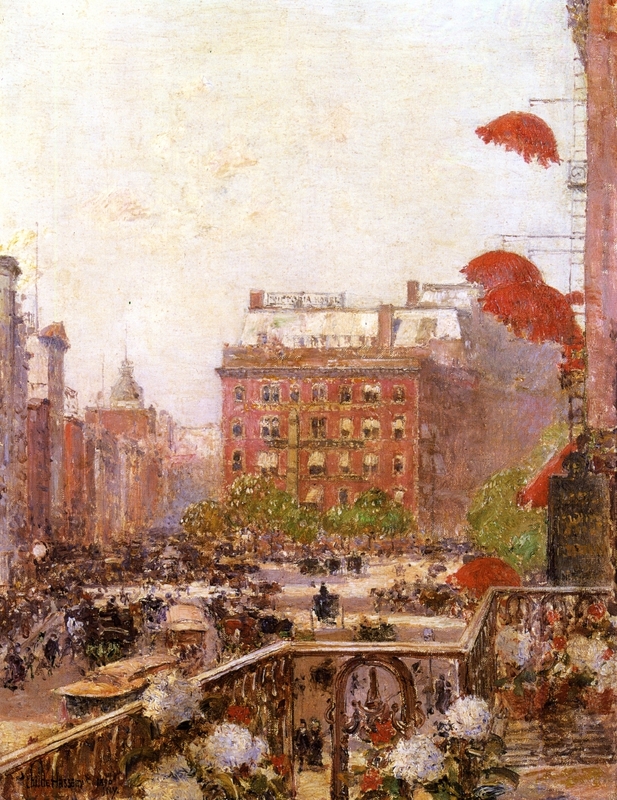 New York is the most beautiful city in the world. 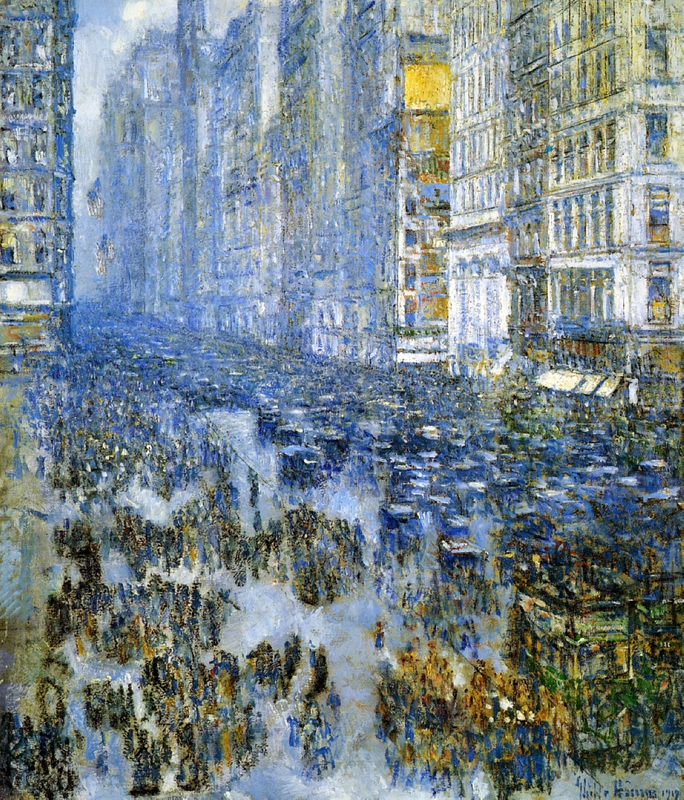 There is no boulevard in all Paris that compares to our own Fifth Avenue … the average American still fails to appreciate the beauty of his own country. 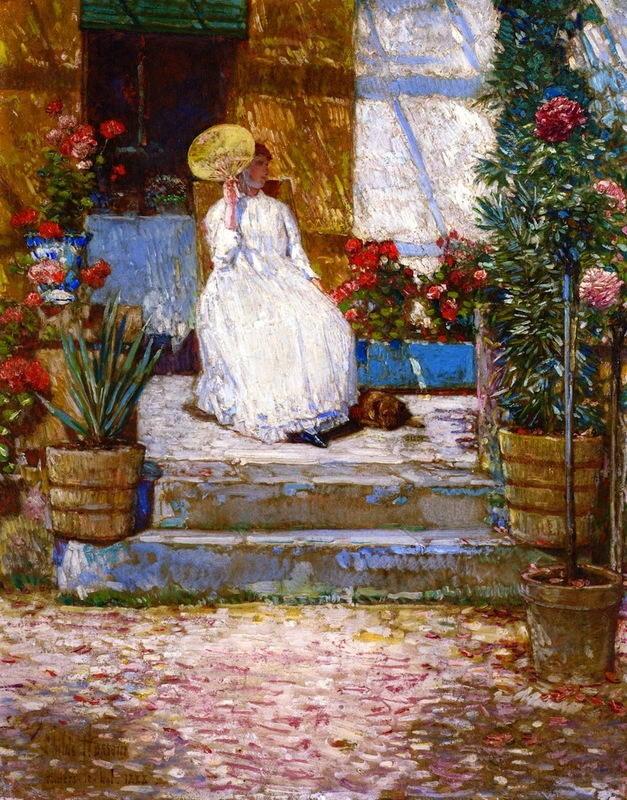 Hassam’s career went from strength to strength, earning him as much as $6000 per painting in 1909 (equivalent to roughly $160,000 today). 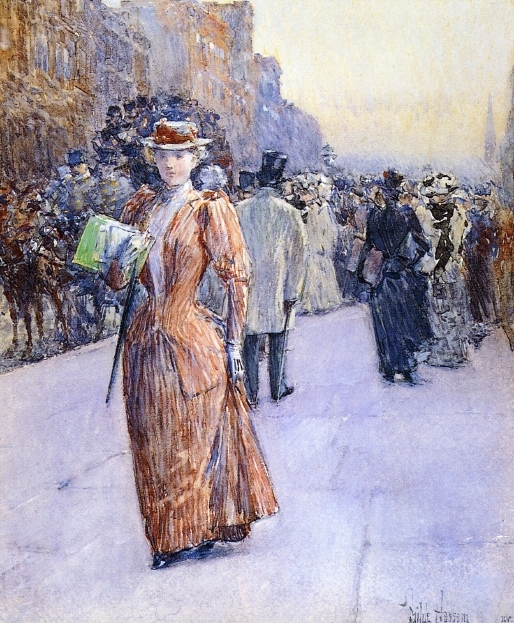 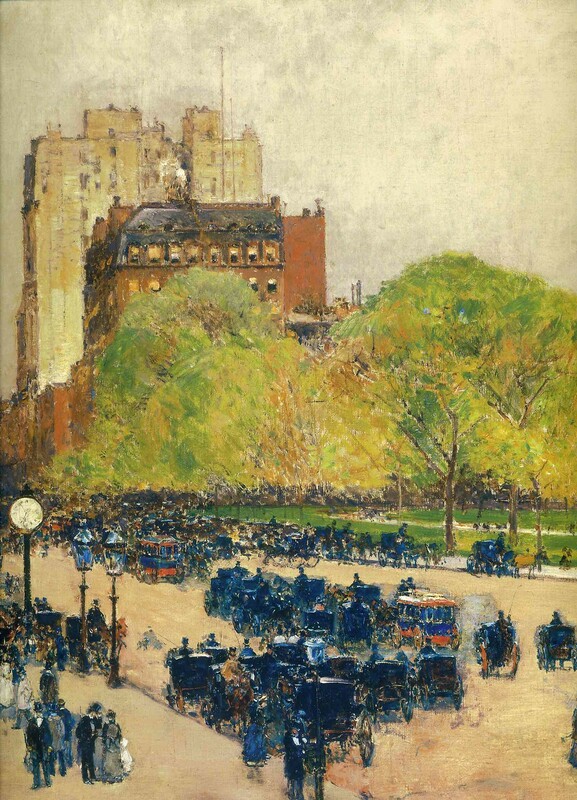 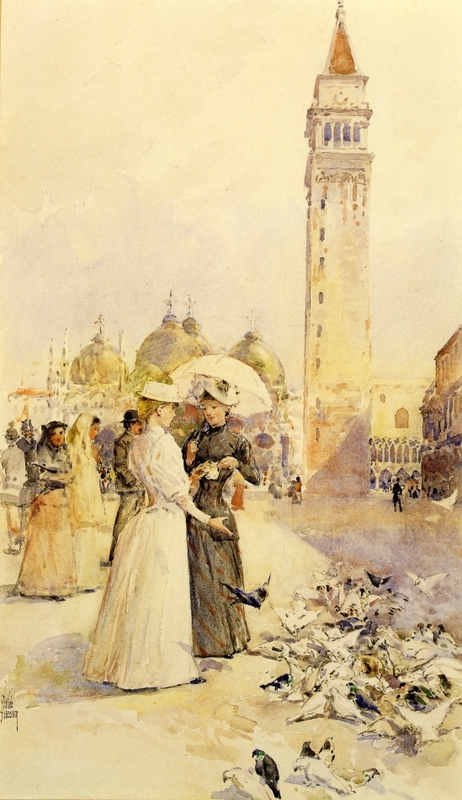 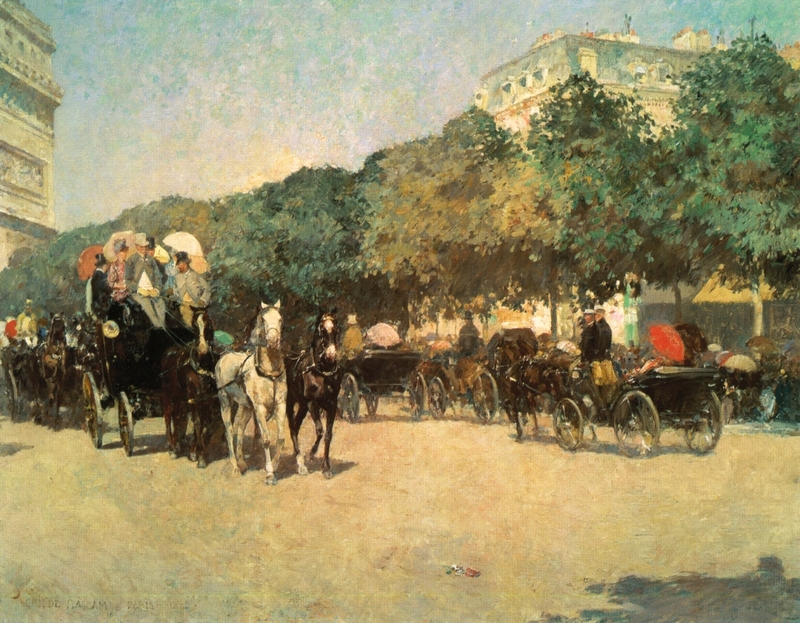 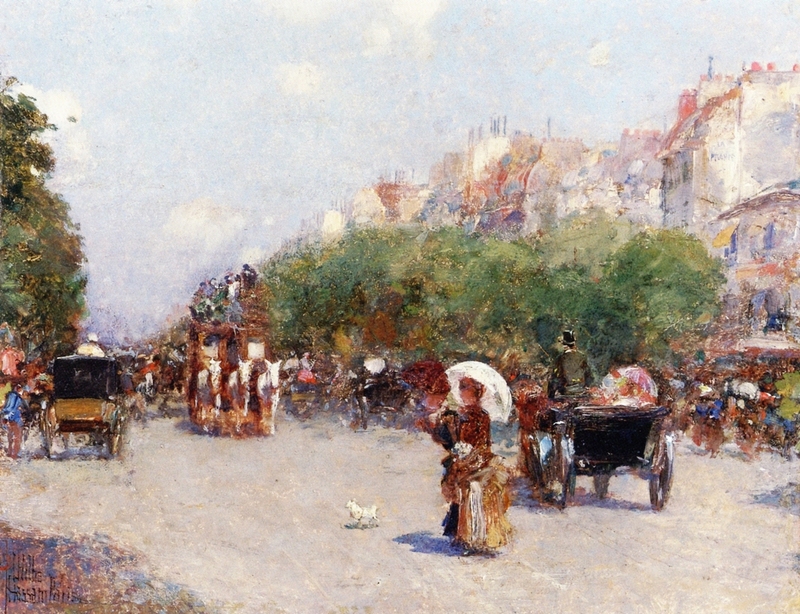 As New York’s architecture changed, with skyscrapers supplanting stately mansions, Hassam lamented a simpler time when gracious horse-drawn carriages ferried people up and down Fifth Avenue. 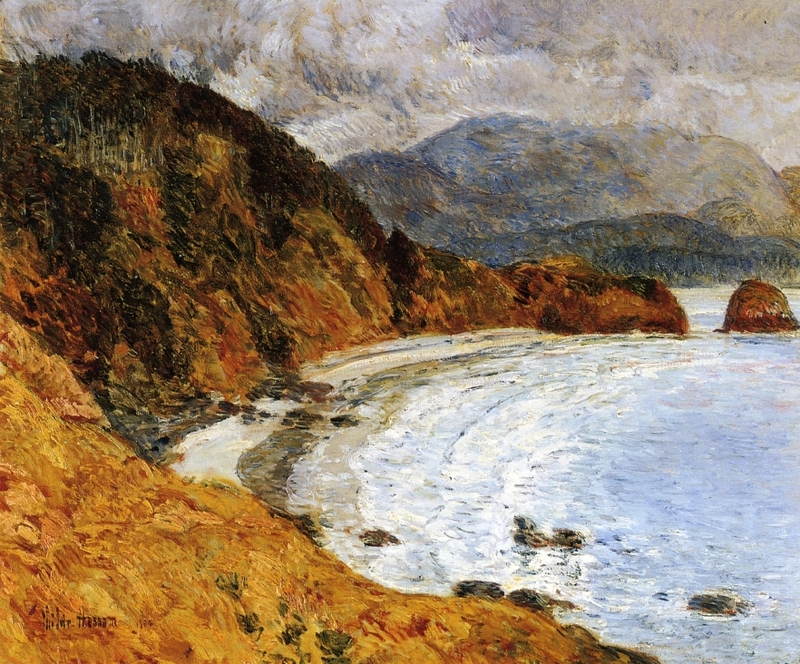 He tired of the bustling subways, elevated trains, and motor buses, and traveled to Oregon, with its high desert, mountains , and rugged coastline. 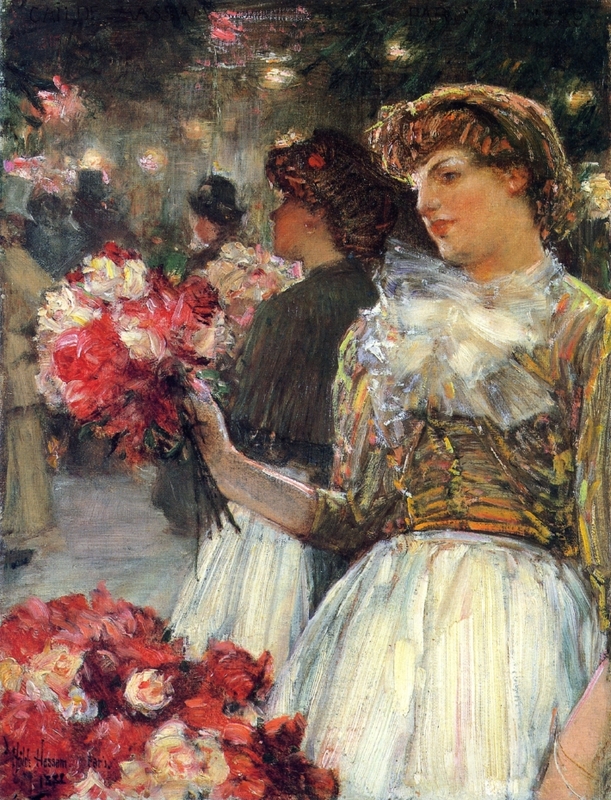 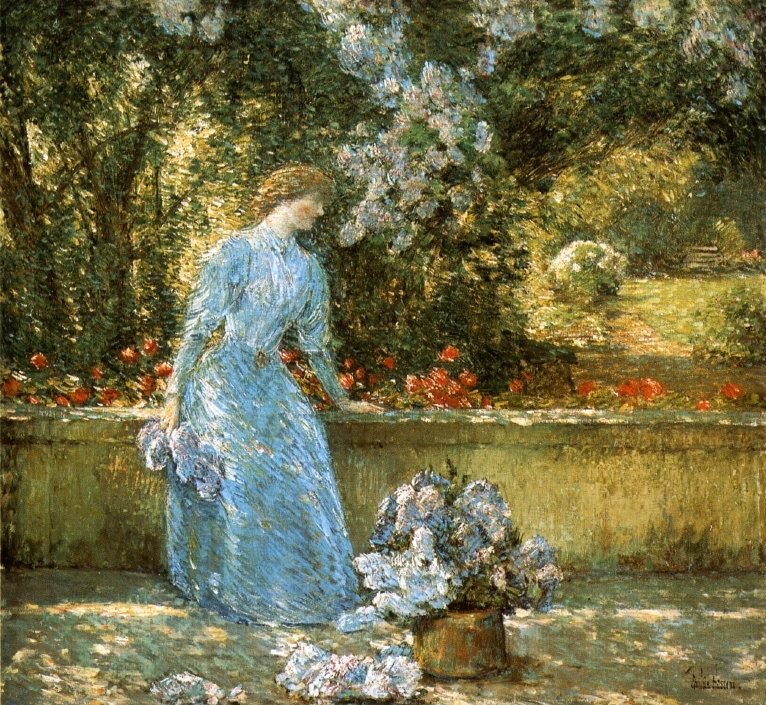 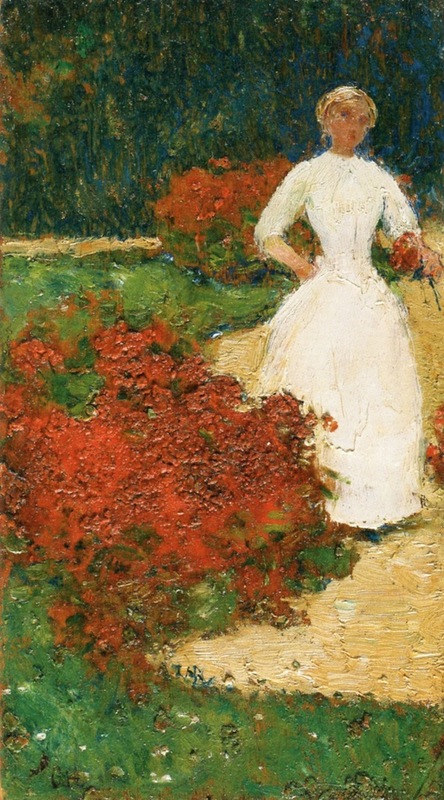 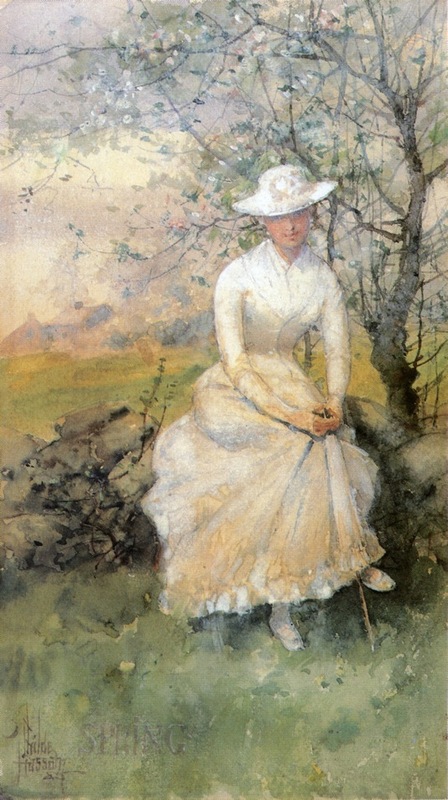 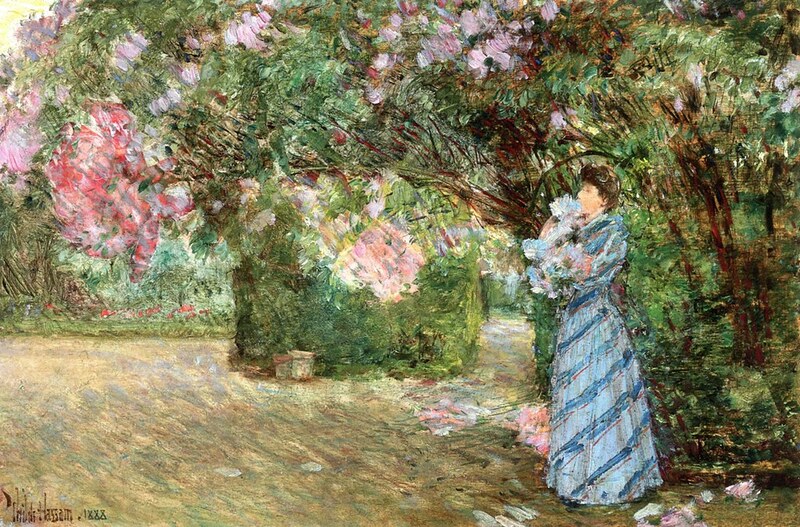 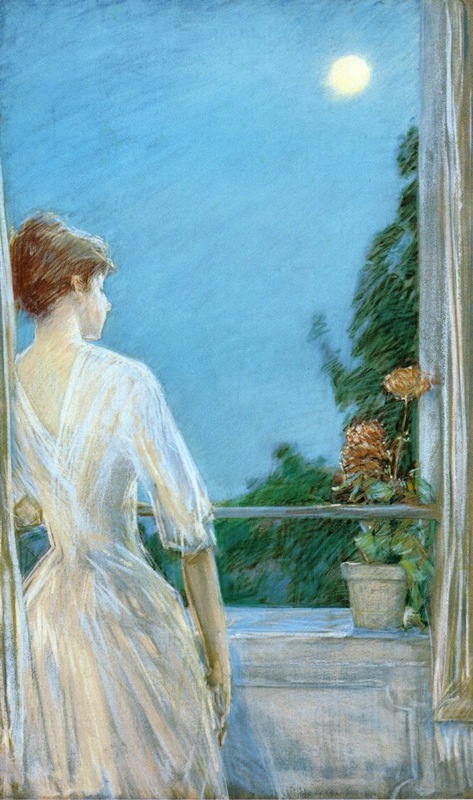 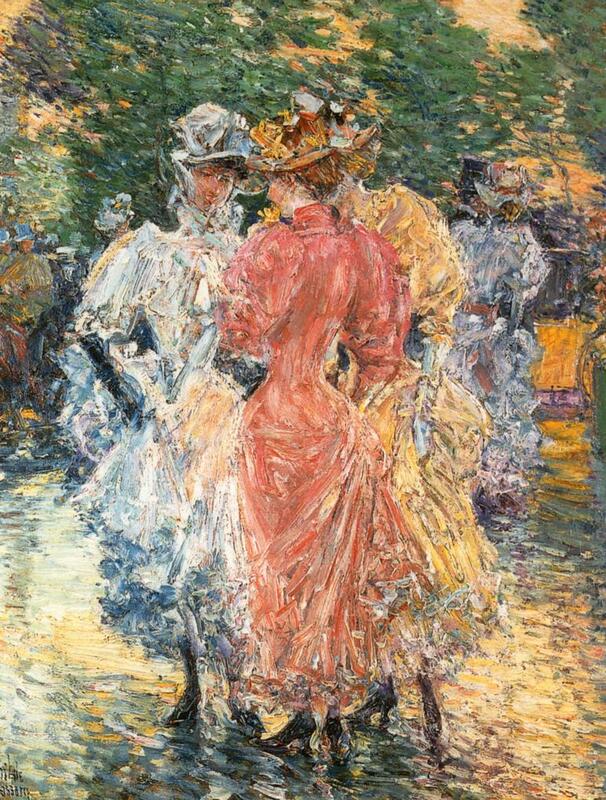 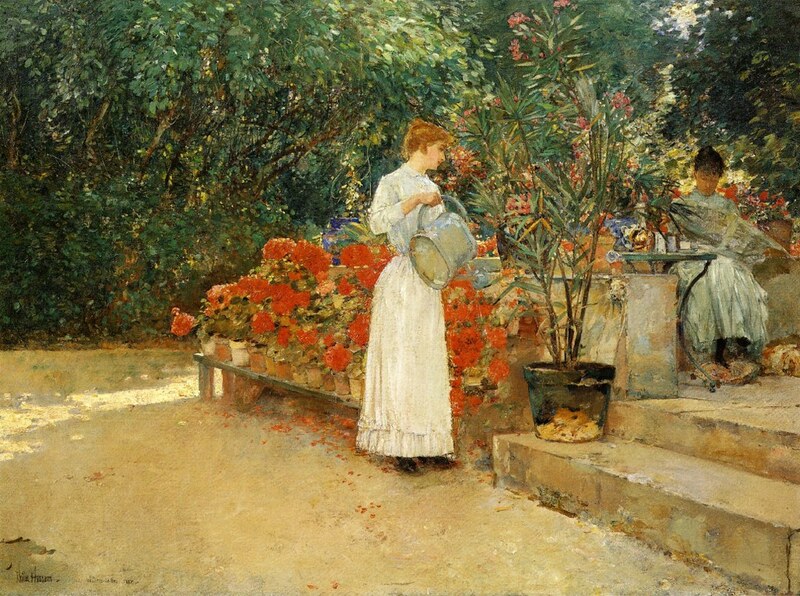 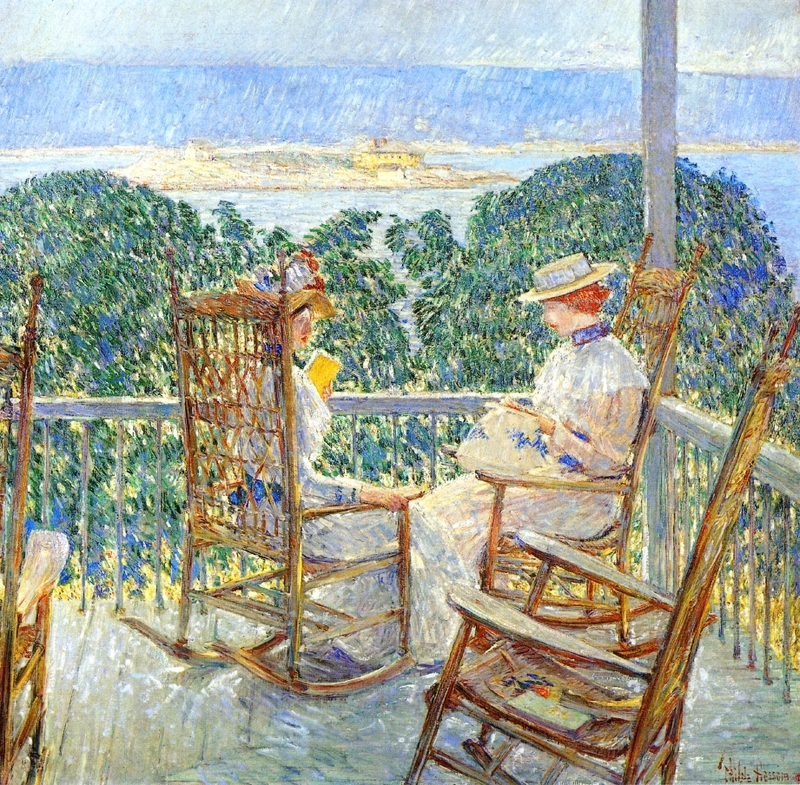 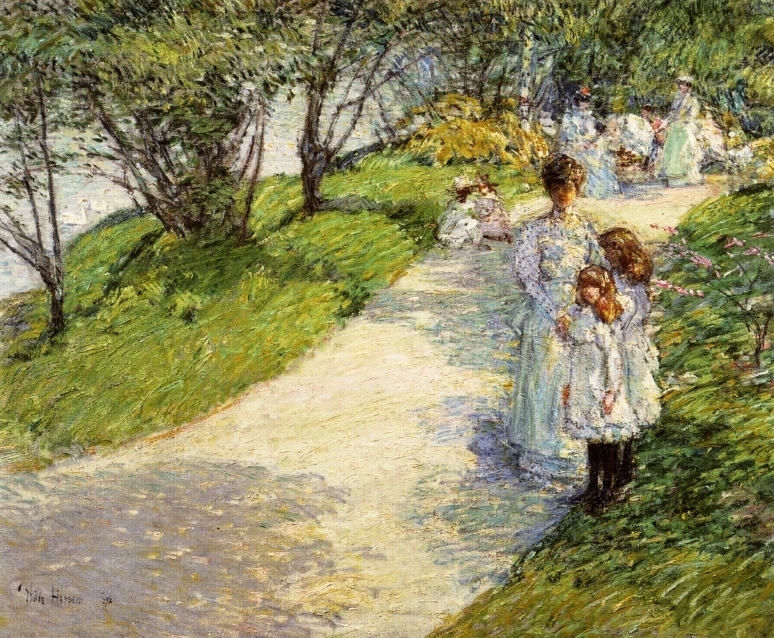 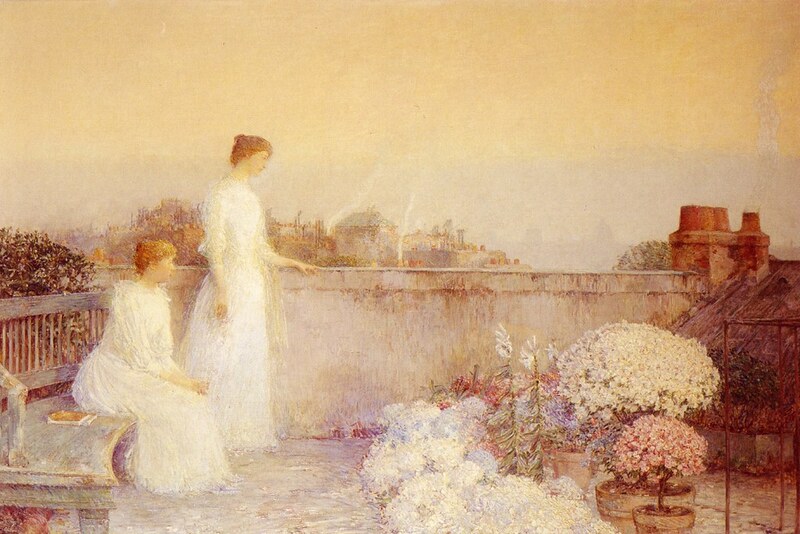 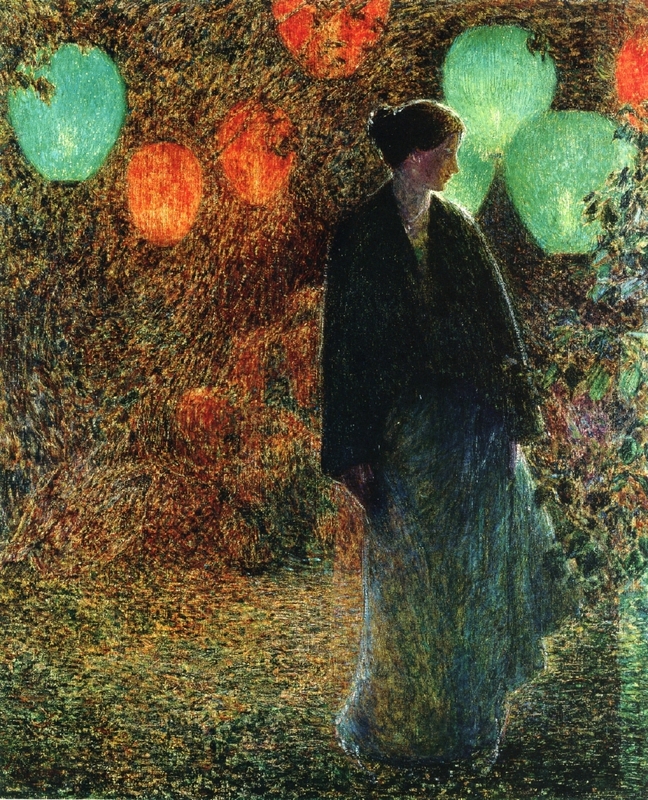 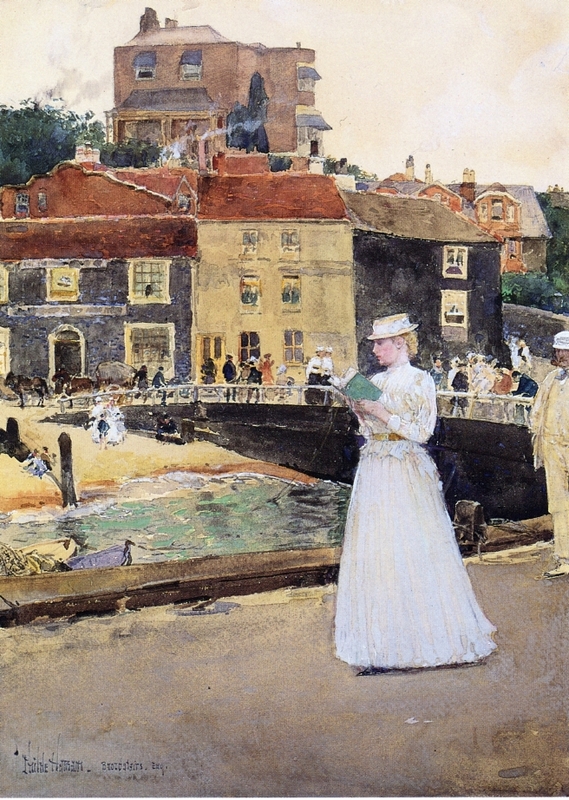 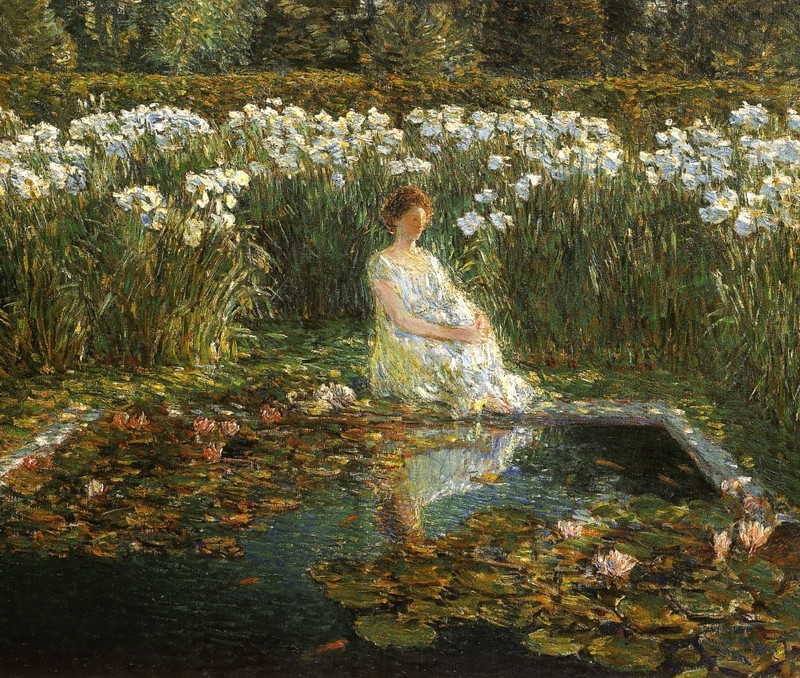 In later life, Hassam produced some of his most distinctive paintings. 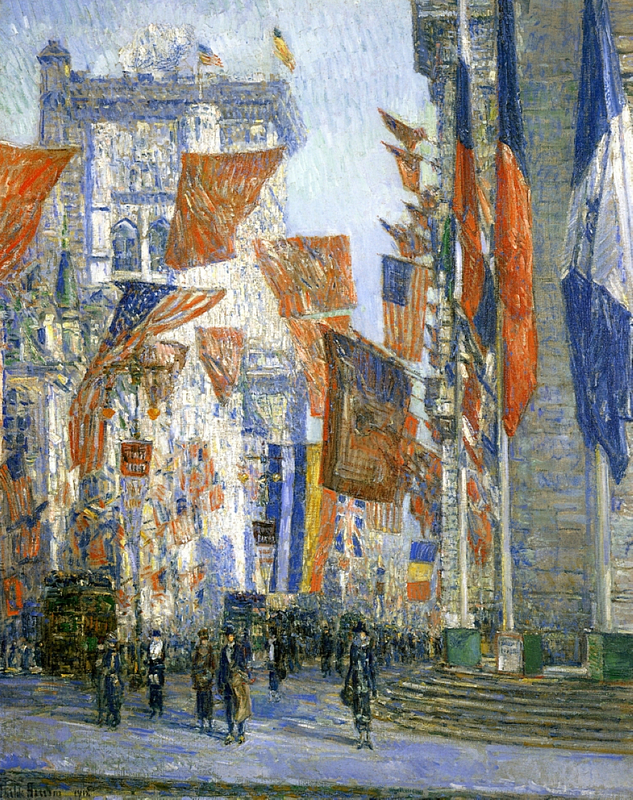 Inspired by America’s involvement in World War One, he painted the “Flag series” in 1916. 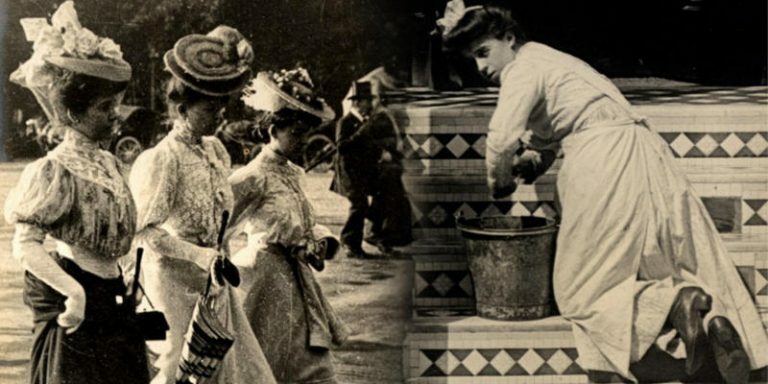 Being an avid Francophile, so enthusiastically did he embrace the war effort to help protect French culture that he even volunteered to record the war in Europe, but was declined. 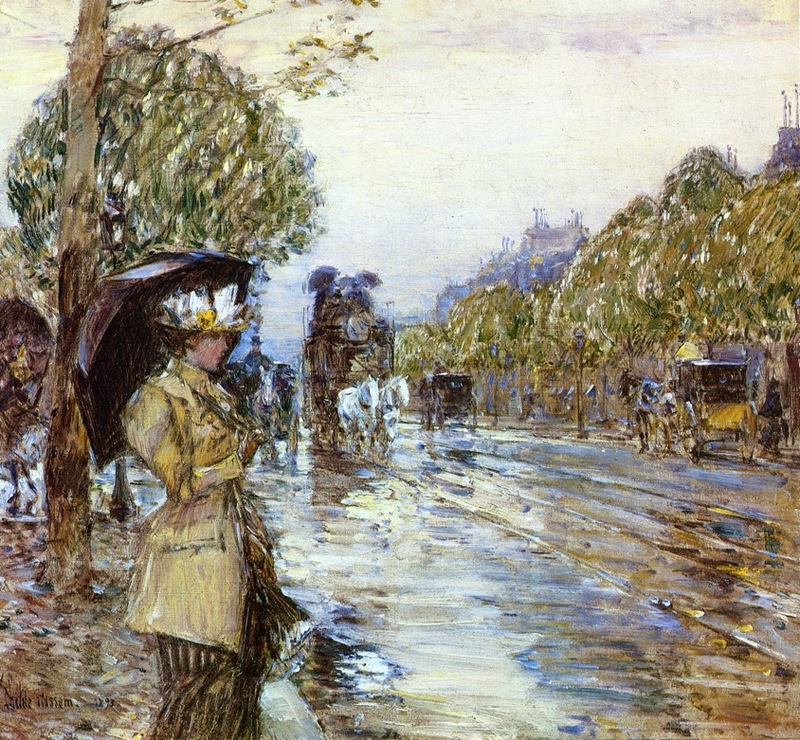 Chosen by Barack Obama to hang in the Oval Office, the Avenue in the Rain is Hassam’s most famous work from the Flag series. 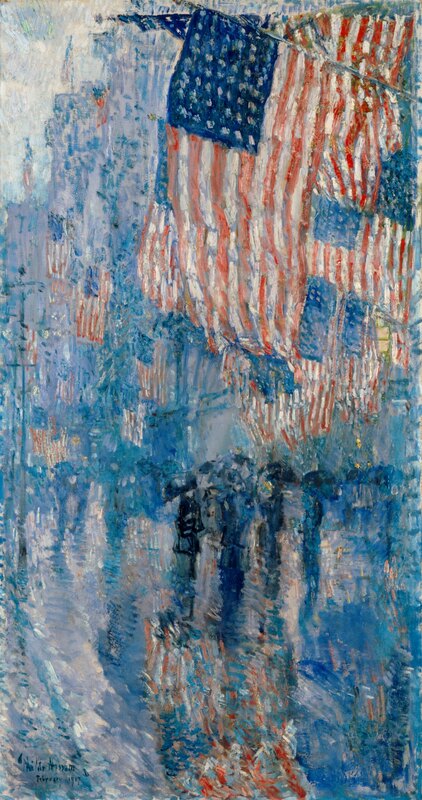 As though viewing through a rain-smeared window, Hassam’s broad brushstrokes make a patriotic statement without overt reference to parades or war. 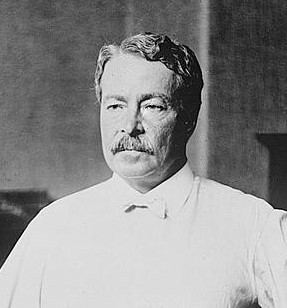 In his final years, he received a Gold Medal of Honor for lifetime achievement among other awards. 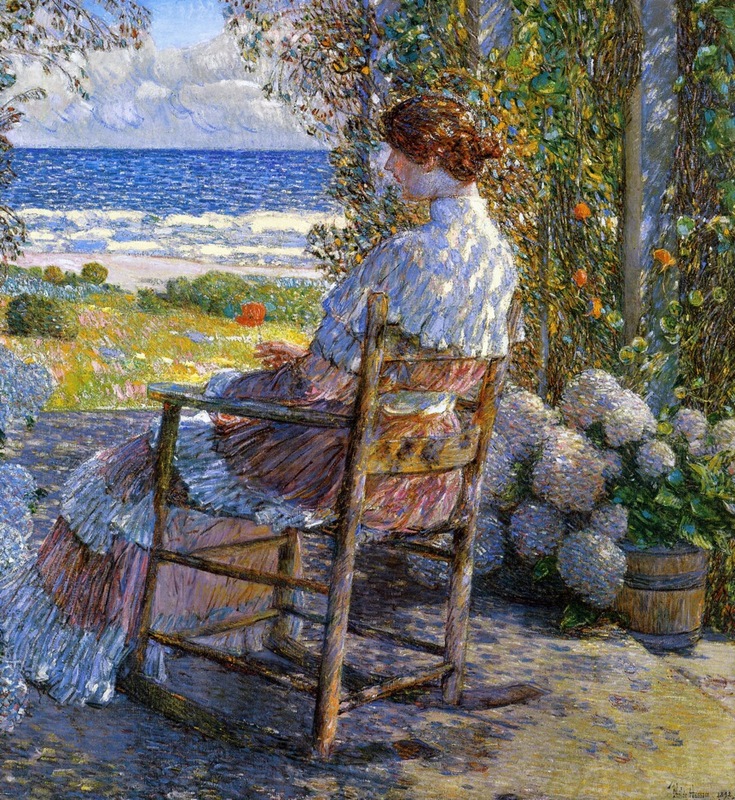 However, for denouncing the avant-garde modern art trends of Cubism and Surrealism, some critics viewed him as static and repetitive. 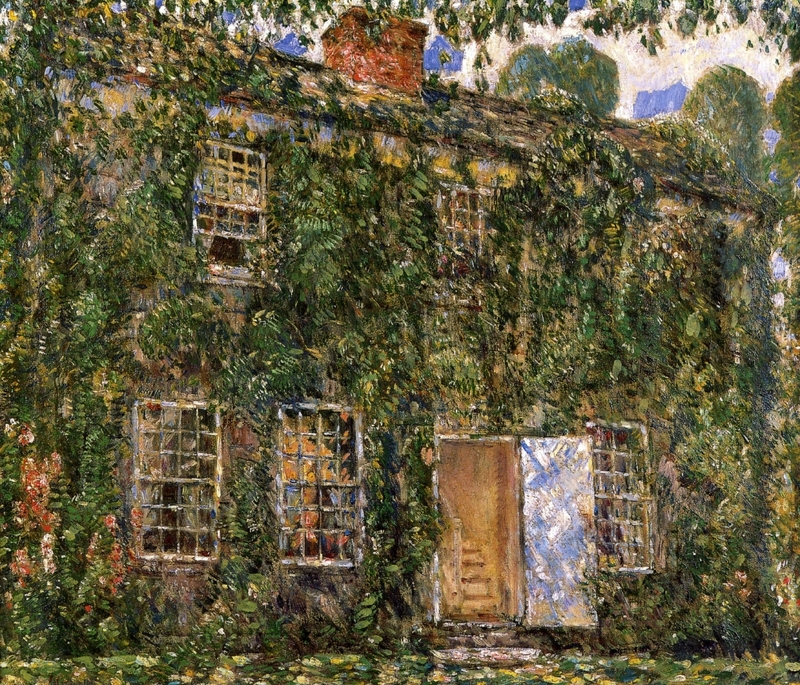 He died peacefully in East Hampton at the age of 75, his legacy, an “abandoned genius” from a bygone time. 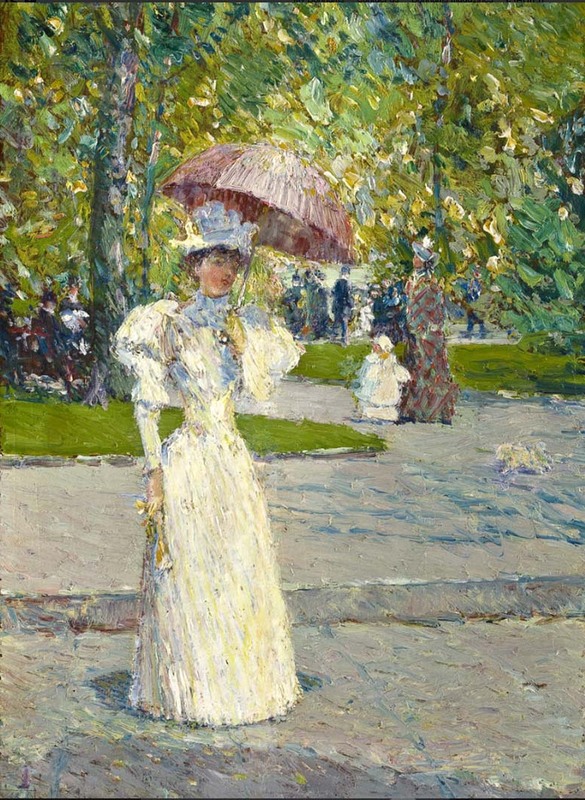 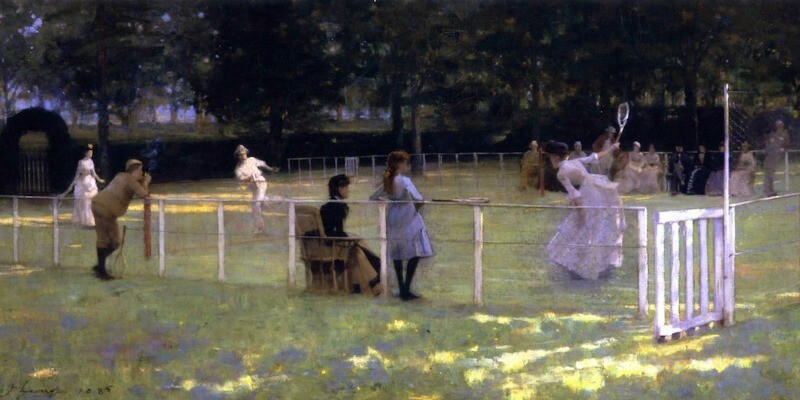 In the 1960s and 70s, the resurgence of interest in Impressionism saw his work fetch stratospheric prices.